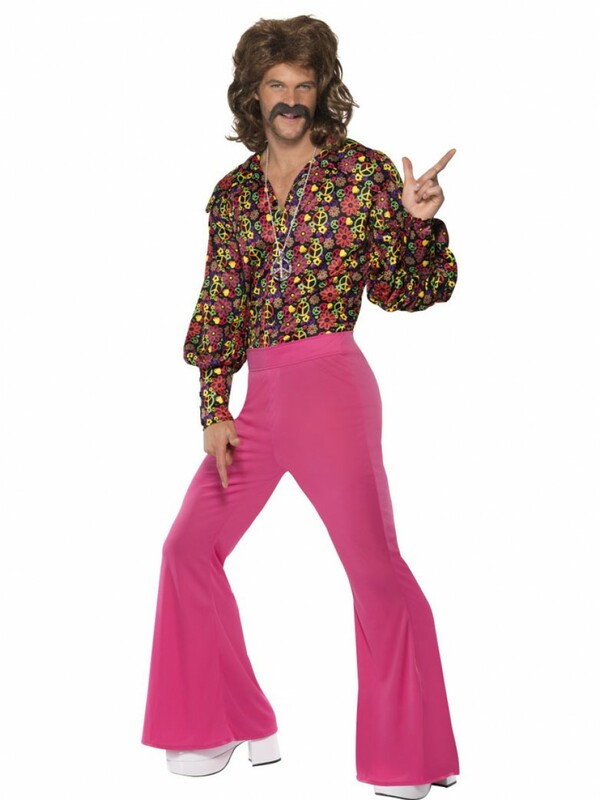 This fun 60s Costume includes a shirt with CND peace symbols and flowers in a bright pattern and a pair of hot pink flares to create a comedy look. 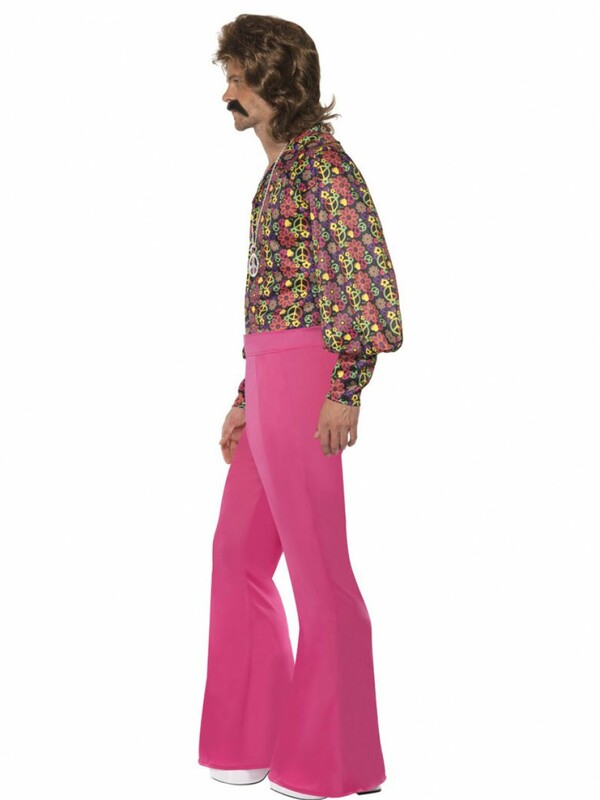 This 60s costume is ideal if you want to stand out from the crowd â€“ with a pair of comedy hot pink flares and bright CND and flower power design shirt. 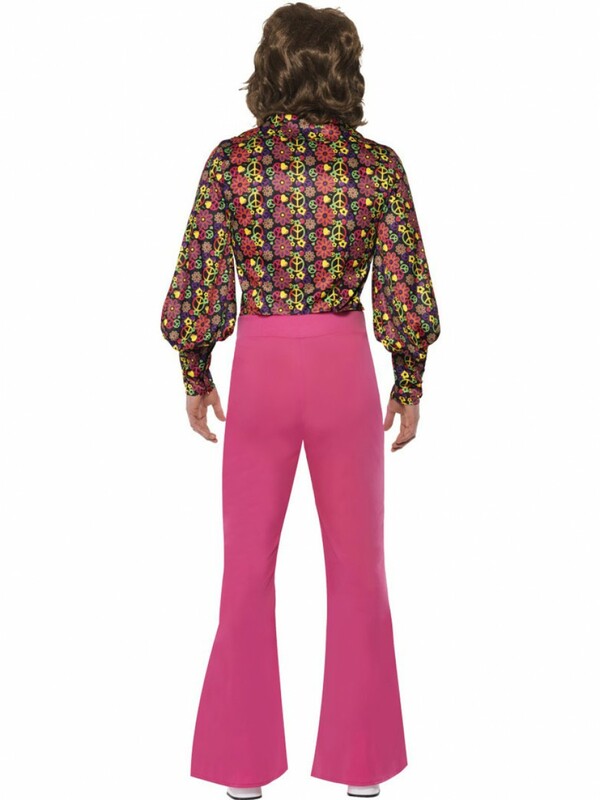 The flares have a classic 60s costume style with a high waist top section and flare from the knee. 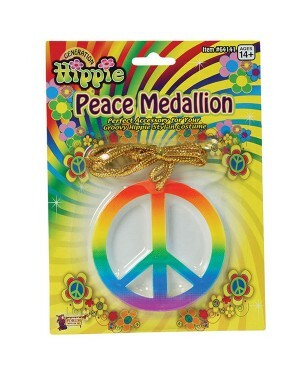 The shirt is dark with bright multi-colour CND Peace symbols and flowers to create a fun look! The arms have long cuffs with a billowed material design. 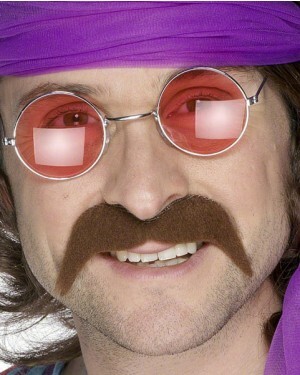 A colourful 60s costume for any occasion! 60s Costume which includes Shirt and Flares.